Aromasin (exemestane) has some unique characteristics: is useful to the steroid using athlete in the prevention of unwanted side-effects such as gynecomastia and excess water retention. 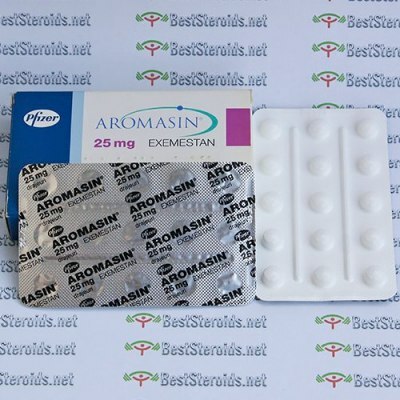 By its mode of action Aromasin inhibits the conversion of estrogen in the body; as many anabolic steroids convert to estrogen after administration due to the aromatase process, Aromasin actively inhibits this process. By its inhibiting nature the total amount of estrogen in the body is reduced and blocked from binding thereby preventing common associated adverse side-effects.